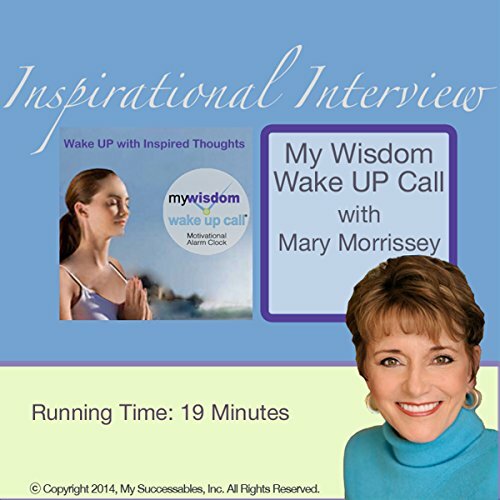 Showing results by narrator "Mary Morrissey"
Get a Boost of Inspiration - Whenever and Wherever You Need it! 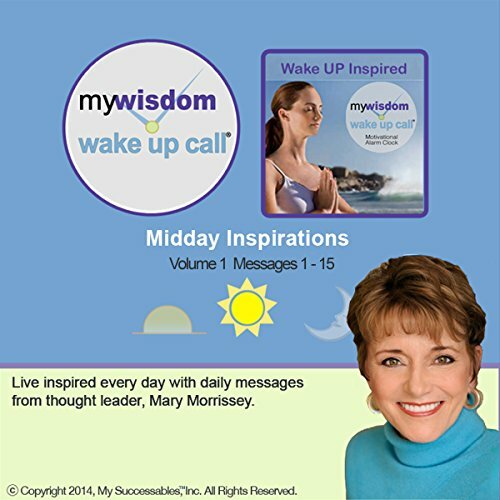 Get five minutes of inspiration - whenever and wherever you need it - with My Wisdom Wake UP Call® daily messages with thought leader Mary Morrissey! 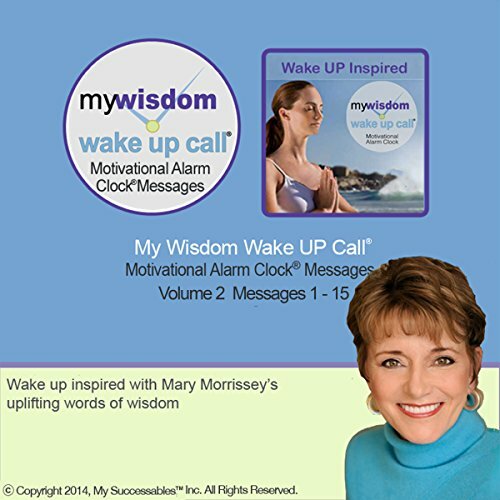 My Wake UP Call® Motivational Alarm Clock® Messages and My Good Night Messages™ are uniquely-structured, morning and evening five-minute messages with renowned experts and thought leaders which bookend every day with inspiration to achieve your personal goals and dreams, instead of with blaring buzzers and negative news. Get a Boost of Inspiration - Whenever and Whereever You Need It! My Wisdom Wake UP Call™ Inspirational Interview is part of a series of interviews with the messengers who contributed their transformational content to create the patented inspiring, motivating messages invented by former longtime Broadway star Robin Boudreau Palmer. My Wake UP Call® Motivational Alarm Clock® Messages and My Good Night Messages™ are uniquely-structured morning and evening five-minute messages with renowned experts and thought leaders which bookend every day with inspiration to achieve your personal goals and dreams, instead of with blaring buzzers and negative news.